- is a family run business. We use the best asphalt and top of the line paving machinery, as well as quality people to pave and sealcoat your dirveway. We show up! 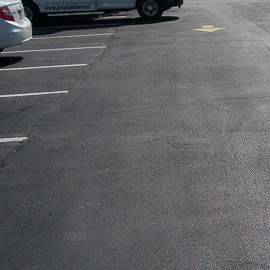 Based out of Hackensack NJ we are able to provide paving and sealcoating services to a variety of towns. Paramus, Lyndhurst, Wayne, and Passaic NJ to name a few are areas that have taken advantage of our services. Because we are owner supervised - we make sure YOU, the customer, are satisfied, all our work is top quality. Our success is based on quality, value and customer service.